Milago Condos Austin | Search Milago Condos For Sale! part of the Downtown Austin Condo skyline brings forth modern comfortable living at reasonable prices, with a touch of luxury and a perfect fit for both the laid back and active lifestyle. Situated away from the crazy downtown traffic and city chaos, it’s conveniently sitting only a few steps from the hike and bike trail and Lady Bird Lake, the Milago Condos stand 13-stories as a lake-front urban residence with 240 well-designed units. 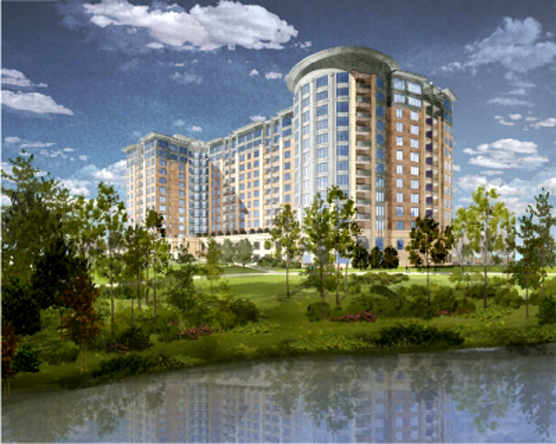 Search Milago condos for sale in Austin range from 700 to 2421 square feet. The Milago condo prices range $200k to more than $1 million. One, two and three-bedroom units and penthouse suites are available to suit anyone’s needs. Each Milago Condo unit is equipped with topnotch furnishings such as an over-sized bedroom, hardwood and stone tiled floors, open floor plans, walk-in closets, large windows, stainless appliances, track lighting, contemporary style switches and outlets, private balconies and granite slab counters. Penthouse suits have 9 or 10 feet ceilings. HDTV ready video service and high-speed internet connections are also available for all residents. The Milago Condos has 24-hour concierge and assures maximum security with controlled access to buildings, elevators and assigned parking in multi-level parking area. Private residences from 3rd to 13th floor also enjoy a gratifying lake, park and downtown views that will surely add relief to a stressful day. This downtown Austin condo features a rooftop pool, terrace and a fitness and aerobics center overlooking the magnificent views of the Town Lake and the downtown Austin condo skyline that will surely offer soothing calmness perfect to the end of a hectic day. With numerous entertainment and superb dining districts just a few minutes away, the Milago Condos is truly a wonder in the heart of downtown Austin Texas.